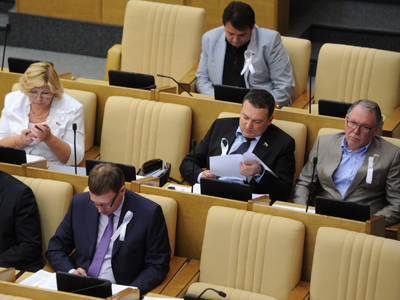 State Duma has given its first approval to amendments introducing ‘foreign agent’ status to NGOs that receive foreign funding, after all the MPs of United Russia faction agreed to be listed as authors of the bill. The initiators of the move, a group of MPs from the majority United Russia Party, said they wanted the NGOs to fully inform Russian citizens about their foreign supporters and thus, about their real motivation. Besides, the MPs claimed they based the amendments on the international experience as similar situations exist in leading democratic countries and the very term ‘foreign agent’ was copied from US legislation. The amendments in the original bill order all Russian NGOs that receive monetary or other aid from a foreign source to submit a request in the Justice Ministry to be registered in a special register of foreign agent organizations. Those who fail to do so will be punished by fines of up to 3,300,000 roubles (over $100,000) and repeated violators can spend up to 2 years in prison. The Justice Ministry is charged with the task of conducting annual inspections to check if the NGOs are correctly reporting about their sponsors and spot inspections are possible if the Ministry receives reports of NGO extremist activities. The initiative has already drawn criticism from Human Rights activists and officials as well as from several opposition parties. However, parliamentary factions of United Russia, the Communist Party and Liberal Democrats supported the amendments and only the leftist faction Fair Russia refused to support it. 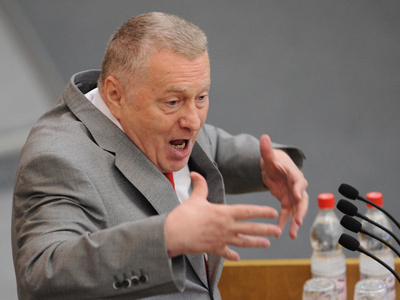 One of the leaders of the opposition group Solidarnost suggested asking the United States to include the Russian parliamentarians who drafted the bill in the so called ‘Magnitsky List’ – the list of persons on whom the United States slapped sanctions over alleged Human Rights violations. The author of the bill, MP Aleksander Sidyakin, dismissed all criticism as “hysteria and delirium” and stressed that the bill used similar US legislation as a “blueprint”. 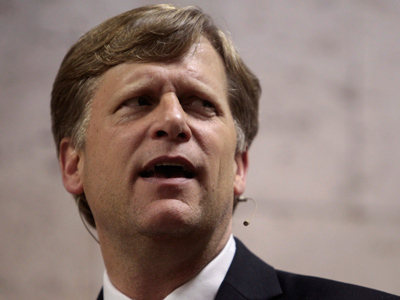 The parliamentarian also said that foreign nations allocate up to $7 billion for Russian NGO activities and this sum was even bigger in 2011 when Russia was holding its latest State Duma elections. “Our nation had a poll that was smeared with dirt by such organizations. Let the citizens know from whose loudspeaker this dirt is pouring out and let them make their own conclusions,” Sidyakin noted. Another MP who backed the bill, Vyacheslav Nikonov, called the bill “a soft form of self-defense of Russian statehood” and told the press that the amendments only concern about 1000 NGOs of a total 220,000 registered in the Russian Federation which makes only 0.4 percent. 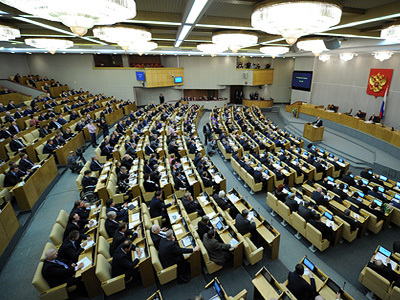 The head of the United Russia faction in the State Duma, Andrey Vorobyov, said the bill was a guarantee of openness “that would only benefit those who receive foreign financing and grants as they would work with maximum openness and declare their goals and tasks”. Vorobyov also told the press that the whole United Russia faction had decided to stand as co-authors of the bill. The head of the Institute of Foreign Politics Research, Veronika Krasheninnikova, told the press that foreign funding was distorting the competition within the civil society as significant support for a small number of NGOs leads to the disproportional rise in their importance. At the same time, people and organizations who get no funding from the West “lose their weight and lose their say”. “This is not fair, it makes unequal conditions for political competition and thus we need to impose fair conditions so that all people have an opportunity to speak in equal conditions and in equal proportion,” the expert said.